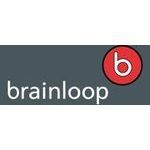 Here at DataSpace we have some exciting news…we are in an exclusive partnership with German IT solutions company, Brainloop AG. Well, we can now offer you a safe and secure online work space. So, how does Brainloop work? Well, this unique work space gives you, your colleagues and clients the ability to share and access all your highly confidential documents. This data space is a cloud based SaaS solution that enables everyone you choose, 24/7 access to your data. No matter where they are in the world. The data from across your company, whether it be in legal, finance or even HR, can be shared across this dataroom service. It has extremely high safety and security features which help to make it incredibly secure. How is it made safe? From encrypted data to two-factor login authentication, this dataroom facility is built around protecting your most confidential data. No one except for those that you give permission to can access your data and you can even change and tailor access rights, depending on what your clients and employees need to access. What makes this even better is that you can get Brainloop mobile for your iPad. This will enable you to access the data you need in a secure environment, even when you are on the move. Major corporations such as Zurich, Sky and Deloitte are using Brainloop. So why not give us a call to find out how we can help you?